Do you know who Ana Belén Montes is? Get to know this woman of Conscience. Posted by SendMeYourNews on October 28, 2015 at 11:24am in Call To Action – Now Is The Time! 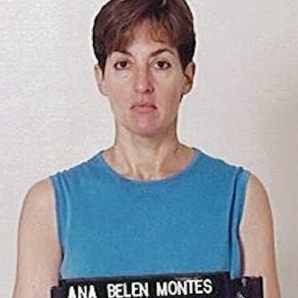 I am a member of the Cuban Committee [emphasis added] that supports that a conditional freedom be granted to Mrs. Ana Belen Montes, after 14 years of harsh prison for “obeying her conscience rather than the law”. Would you be willing to read this basic material below about the case? Does anybody know who Ana Belén Montes is? The pain caused by prison is the hardest one, the most devastating one, the one that kills your intelligence and dries out your soul, leaving scars imprinted in it, which will just never go away’. Does anybody know who Ana Belen Montes is? It’s a question frequently asked by friends of the valiant woman imprisoned by the USA because she acted on her belief that US policies and actions toward Cuba were profoundly unjust. The daughter of Puerto-Rican parents was born in Eastern Germany, where her military-officer father was based, on February 28th, 1957. 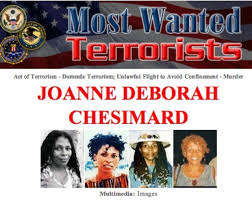 Her American citizenship enabled her to become a high level employee of the Pentagon’s (Defense Department’s) Defense Intelligence Agency (DIA), which was her position when she was prosecuted and condemned as a spy for informing the cuban government about aggression plans to be directed against the cuban people, something which didn’t affect her country’s national security neither put any innocent lives in danger. In 1979, when she was 22 years old, the University of Virginia granted her a bachelor’s Degree in International Relations. Later on, she acquired a Master’s Degree in this specialty. In 1985 she was hired by the DIA. Due to her capabilities, she was sent to the Air Force Base in Bolling, Washington, where she worked as a specialist in intelligence investigation. In 1992 was promoted to the Pentagon as an analyst. Editor’s Note: The inaccuracies and distortions in this weak piece of propaganda are so numerous as to be laughable. Unlike the author, I know Ana Belén Montes quite well, as I spent several years as a central figure in her counterespionage investigation and subsequent debriefing. 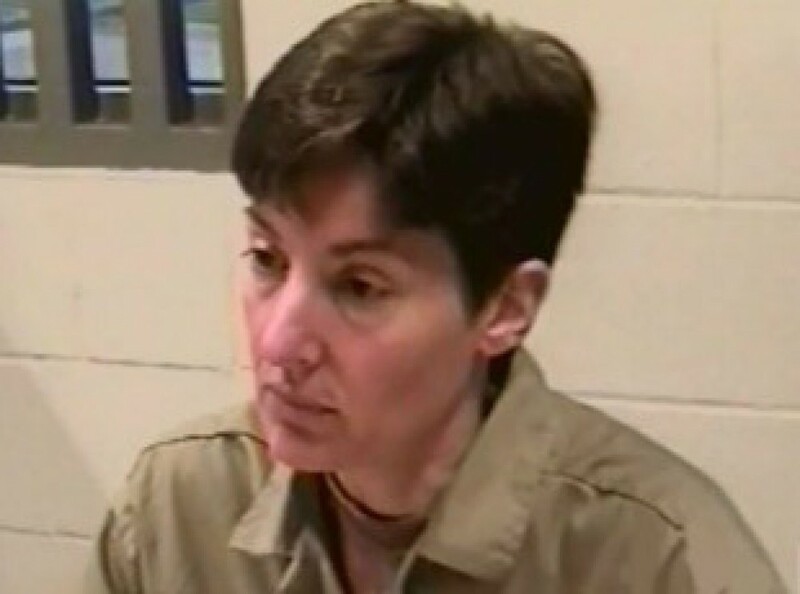 She should praise God every day the Justice Department offered her a 25 year sentence. There were many well informed people who felt she should have served life in prison……or worse. 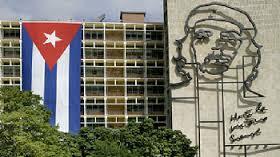 Juan Juan Almeida, 19 October 2015 — The G2, Cuba’s domestic spy agency, is nothing more than a fun-loving caricature of the former KGB. What is difficult to believe is that the special services headquarters which direct espionage operations against Cuba have shown themselves to be even more inept. The Cuban government neither has nor could maintain an army of spies. We have bought into this myth. Espionage is an expensive proposition and recruiting spies is not like planting rice. Though difficult for us to accept, Cuban authorities are talented and treacherous enough to know how to stoke paranoia, distrust and confusion by creating a constant and frantic struggle for reaffirmation against “a person unknown.” This has made us prone to isolation, some degree of lunacy and a few too many hallucinations. Now is the time to find common ground in order to face the obstacles that divide us. There is no point in inventing yet more informants, those agents created for a specific task and trained for a specific mission. We routinely label people as “agents” with dangerous and contagious certainty. We should realize that no single nation can simply go around recruiting and sending infiltrators out into the world like spores in search of information. From the enigmatic Julius and Ethel Rosenberg to a young physicist named Klaus Fuchs, from former CIA officer Aldrich Ames to Soviet military intelligence colonel Oleg Penkovsky, and to the legendary James Bond, history and literature are replete with spies who have captured our imagination. Adventurers or idealists, altruistic or greedy, heroes or informers, the world certainly knows of spies who succeeded in altering the course of history. But such cases are a far removed from our all too mundane reality. The fact is there are fewer Cuban spies in Miami than bullfighters with mustaches in Madrid. Editor’s Note: Another rambling piece of fantasy promoting the “Cuba is not a threat” propaganda espoused for decades by other Castro spies, including Ana Montes, Kendall & Gwen Myers, etc. Cuba remains a long-time intelligence trafficker, stealing US secrets and selling or bartering them to any country with something to offer. Countless defectors and émigrés report the trafficking of US secrets is now one of the major revenue streams sustaining the regime. As such, the Obama administration’s misguided outreach to Cuba will intensify Havana’s self-serving and dishonest claims of espionage innocence as improved relations drive down the cost of Cuba’s spying. Editor’s Note (Addendum): The pseudonym Juan Juan Almeida is used by Cuban agent Percy Alvarado, a Guatemalan asset. Reports that Cuban forces are now fighting in Syria follow a long history of the Castro brothers working closely with their patrons in Moscow. Not for the first time Cuban forces are doing Russia’s dirty work, this time in Syria. On Wednesday it was reported that a U.S. official had confirmed to Fox News that Cuban paramilitary and Special Forces units were on the ground in Syria. Reportedly transported to the region in Russian planes, the Cubans are rumoured to be experts at operating Russian tanks. For President Obama, who has staked his legacy on rapprochement with America’s adversaries, the entrance of Cuba into the bloody Syrian civil is one more embarrassment. Russia, Iran and Cuba—three regimes which Obama has sought to bring in from the cold—are now helping to prop up the regime of Bashar al-Assad, ruler of a fourth regime he also tried in vain to court early on in his presidency. Obama has been holding his hand out in a gesture of goodwill to America’s adversaries only for them to blow him a raspberry back in his face—while standing atop a pile of Syrian corpses. Yet for seasoned Cuba-watchers the entrance of the Cuban Revolutionary Armed Forces into the Syrian civil war is a surprise but hardly a shock. A surprise because Cuba was forced two decades ago to curtail its military adventurism by a deteriorating economy (the Cuban military has been reduced by 80 per cent since 1991). Largely thanks to the involvement of Cuban troops in the fight against Apartheid South African in Angola in the 70s and 80s (not to mention the more recent medical “missions” to disaster-stricken parts of the world) Cuba has gained something of a reputation for internationalism. At one point the Cuban presence in Angola reached 55,000 soldiers, inflicting a defeat on South African forces which helped precipitate the end of Apartheid. “The [Cuban army’s] decisive defeat of the aggressive apartheid forces [in Angola] destroyed the myth of the invincibility of the white oppressor,” Mandela told the Cuban leader on a visit to Havana in 1991. In recent years Angola has lent the Castro regime a romantic penumbra which says that, for all its faults, the Cuban revolution is on balance progressive (watch the film Comandante by the ludicrous Oliver Stone to get a sense of what I mean). Yet while everyone remembers Cuban heroics in Angola, few remembers Cuban terror in Ethiopia. El Comité Cubano Pro Libertad de Ana Belén Montes, la espía del régimen que fue detenida en 2001, ha sido creado recientemente en La Habana, según informó el portal procastrista Cubainformación. El grupo, que anuncia la creación de comités similares en todo el mundo, reclama el “indulto presidencial” para la agente, que fue funcionaria de la Agencia de Inteligencia para la Defensa (DIA) de Estados Unidos. Actualmente se encuentra encarcelada en el Federal Medical Center (FMC) en Carswell, dentro de las instalaciones militares de la Estación Aérea de la Marina estadounidense en Fort Worth, en Texas. Los promotores del indulto afirman que Montes no recibió dinero del Gobierno cubano y que no fue reclutada “por medio de sórdidos chantajes”. Aseguran que Montes afrontó los riesgos de su acción “por amor a la justicia, y por honrada solidaridad” con la dictadura castrista. “Ella merece ahora más que nunca el indulto presidencial ya que hoy Estados Unidos habla de una relación ‘normal’ respecto a Cuba”, dicen los organizadores del nuevo comité. Notorious across the globe as one of the most controversial political figures in history, Cuban ruler Fidel Castro has lived an intriguing life under THE WATCH of millions. From a young revolutionary who overthrew a corrupt dictator using a small guerilla army to being the target for assassination allegedly 600 times, the longevity of Castro’s rule and iconic nature has been nothing short of remarkable. CASTRO: THE WORLD’S MOST WATCHED MAN, a one-hour documentary looking at the life of Fidel Castro through the eyes of the spies who have observed him for over a half-century, premieres on AHC on Thursday, October 22 at 10/9c. Revisiting more than 50 years of history and revealing the inner forces that have shaped his leadership, CASTRO: THE WORLD’S MOST WATCHED MAN uncovers a unique perspective on Castro’s life as a notorious figure. Throughout the special, viewers are offered unprecedented access to declassified documents, intense recreations and exclusive interviews with spies, KGB agents, CIA analysts, and Cuban exiles who have tracked Castro’s movements over the years, sharing intimate details, captivating anecdotes, and psychological insight to better understand the man behind the legend. 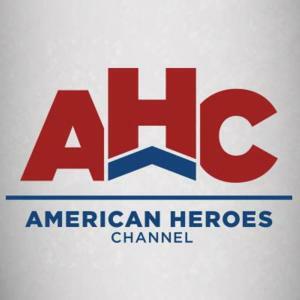 The global programming initiative between AMERICAN HEROES CHANNEL (AHC) and Discovery Networks Latin America/U.S. Hispanic (DLA/USH) will also air on Discovery Networks International’s factual channels in more than 220 countries and territories this fall. · Chris Simmons: Senior Counterintelligence Specialist at the Defence Intelligence Agency. He was a principal figure in most US Counterintelligence successes against Cuba from 1996-2004. · Peter Kornbluh: Director of the Cuba Documentation Project at the National Security Archive, an organization that monitors the work of US secret services. 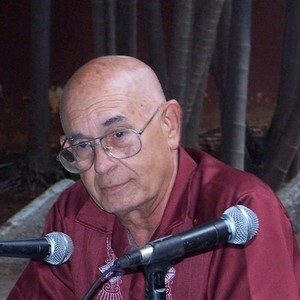 · Domingo Amuchstegui: Former head of the Cuban Embassy in Guatemala. 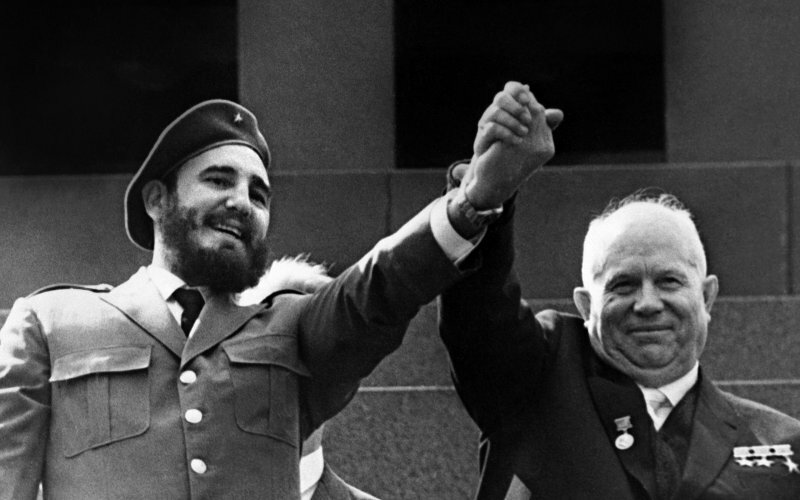 · Nicolai Leonov: Former Senior KGB officer who knew both Fidel and Raul Castro from the earliest days of the Revolution. · Felix Rodriguez: Former CIA officer involved in the Bay of Pigs invasion and the capture of Che Guevara. Rodriguez was born in Cuba.